With the innovative 3.5-liter V6 direct-injection engine available on 2018 Highlander models at Milton Martin Toyota, these new and innovative SUVs are able to provide an ideal blend of both power and efficiency. 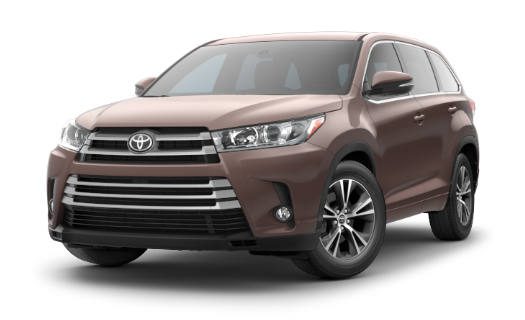 Expertly engineered using the latest next-generation Toyota technologies, Toyota Highlander’s advanced engines are mated to a sophisticated Direct Shift-8AT (8-speed Automatic Transmission) that provides enhanced vehicle control to Gainesville, Georgia owners. When all of these components are working together in unison, the new 2018 Toyota Highlander can provide exceptional efficiency when cruising at speed as well as brisk acceleration off the line. The 2018 Highlander lineup available at Milton Martin Toyota shines a brilliant spotlight on modern day SUV style. With an expressive new headlight design that now features integrated Daytime Running Lights (DRL), the signature SUV appearance of Toyota Highlander is amplified like never before. 2018 Highlander SE trims enhance excitement levels in Gainesville, Georgia even further with their dark-black-accent headlights, while the chrome-accent headlight housings featured on Limited Platinum trims emphasizes Highlander’s imposing presence. Every new 2018 Highlander at Milton Martin Toyota also comes with brilliant LED tail lights that offer enhanced visibility in the rear, allowing owners to illuminate the streets in Gainesville from every angle imaginable. 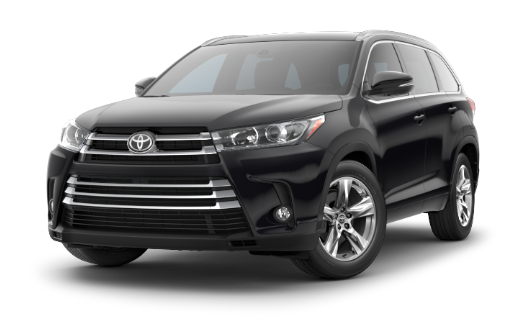 With their inspiring new front fascia design that includes expressive headlights and a dynamic front grille, the new 2018 Toyota Highlander helps Gainesville, Georgia owners make a lasting first impression regardless of where they happen to be located. Each individual 2018 Highlander trim level features a unique grille that was created specifically for them, making it easy for our Georgia customers to find one that can meet all of their wants and needs. The distinctive look of Toyota Highlander SE sets these sporty SUVs apart with a bold gloss-black grille and headlights surrounded by unique black housings. 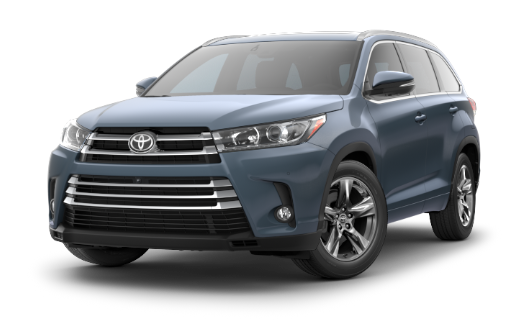 Factor in the exclusive 19-inch multi-spoke alloy wheels and you’ve got a 2018 Toyota Highlander that’s not afraid to show off its sportier side. An essential part of enjoying everything the open roads of Georgia have to offer is not being able to hear them. New 2018 Highlander models at Milton Martin Toyota feature silencing insulation materials that have been strategically placed along their floors in an effort to help keep things quiet on the inside, as well as acoustic-type glass in their windshields that further limits the amount of noise that’s able to enter the cabin. Toyota Highlander’s panoramic moonroof is available as a part of the Platinum Package, providing open-air entertainment for all occupants. Allow the beauty of the Gainesville, Georgia sky to entertain your passengers while you focus on the road ahead. Due to their incredibly spacious interior design, the new 2018 Toyota Highlander offers enough space to comfortably seat up to eight people, as well as the comfort and convenience provided by reclining third-row seats. Our Georgia customers that opt for the available second-row captain’s chairs in their new Toyota Highlander can seat seven comfortably, and they still get to enjoy the same impressive levels of SUV versatility. 2018 Highlander Limited trims with the Platinum Package feature a unique SUV interior design that’s on a completely different level. Offering features such as heated second-row captain’s chairs, Toyota Highlander Limited can ensure your passengers remain comfortable in even the most frigid Gainesville, Georgia weather conditions. Milton Martin Toyota serves customers from Gainesville, Oakwood, Alandale and all of the surrounding communities, helping them find the new 2018 Highlander they’ve been wanting. We’re proud of the exceptional level of customer service that our Gainesville dealership is known for providing, and we work hard to make sure that each person that walks through our doors leaves satisfied. 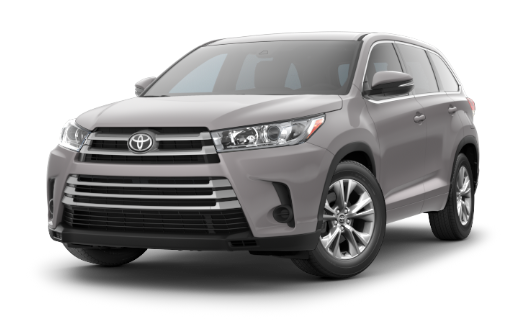 If you’re thinking about purchasing a new 2018 Highlander, visit 3150 Milton Martin Toyota Way in Gainesville, Georgia and speak with one of our friendly and knowledgeable sales professionals.